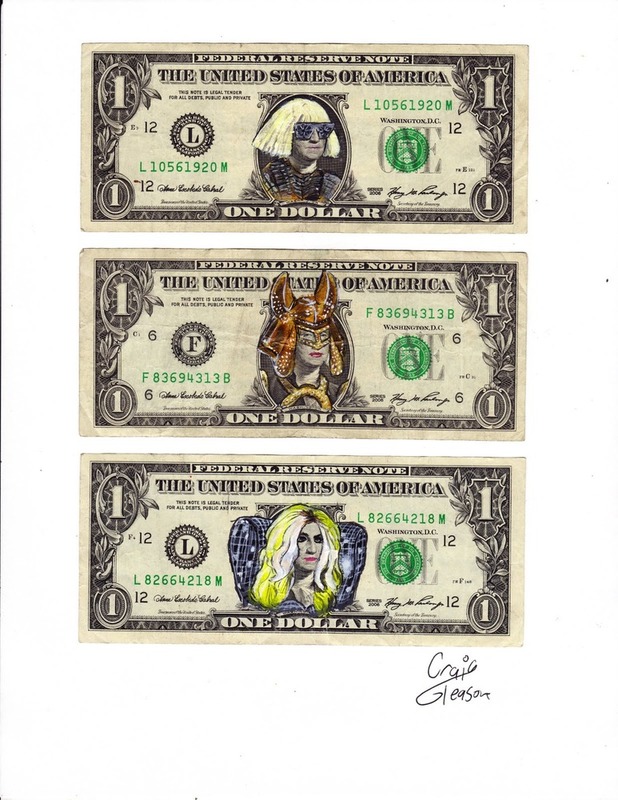 Craig Gleason painting the Fame Monster Lady Gaga Dollar. Sped up of course. Visit his site to see some inappropriate goodness.